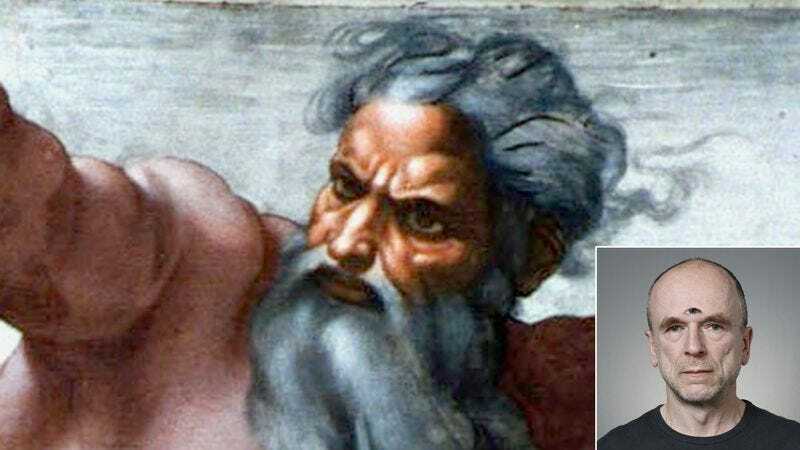 THE HEAVENS—Saying He never could have completed such an ambitious project all on His own, God Almighty, Maker of Heaven and Earth, recalled Tuesday how He collaborated with fellow divinity Kryzok, Lord of Zogsoth, to create humans. “Kryzok was the one who could see the big picture and knew how to pull everything together into a cohesive organism—I was just the guy tinkering around in a big pile of flesh and bones trying to figure out how we could make arms and legs and nervous systems work,” God said of His late creative collaborator, who passed away in 3759 B.C., reportedly still despondent over mankind’s Fall and subsequent banishment from the Garden of Eden. “But we shared the same vision of what we wanted to accomplish with human beings, even if we came at it from different angles. My first prototype had like five heads and wasn’t even bipedal, but Kryzok brilliantly streamlined everything and shaped it into the product everyone knows and loves today.” Noting that His collaborator also had a great sense of humor and was always pulling pranks, God went on to say that the idea for the human excretory system actually began as a long-running inside joke between the two friends.